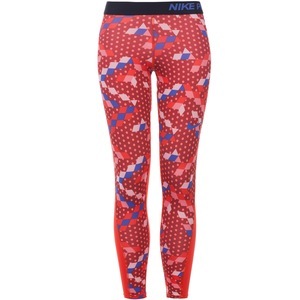 The Nike Pro Girls Tights are made with breathable mesh panels and stretchy, sweat-wicking fabric to help keep you dry and comfortable during your workout. Wide elastic waistband offers a smooth, secure fit. The mesh panels enhance breathability. Flat seams move smoothly against your skin. Inseam gusset enhances range of motion. Nike Pro apparel features durable and comfortable four-way-stretch Dri-FIT fabric to move moisture away from your skin, helping you stay dry, cool and moving freely.